Termination is such sweet sorrow. It’s time for grizzly bone-crushing fun! It’s time for four-way action. Last week Crushed (Hoarding) barely squeezed the life out of Food Poisoning by only one vote. The match started fiercely with Food Poisoning yelling, “Don’t tread on me!” But that’s exactly what happened. 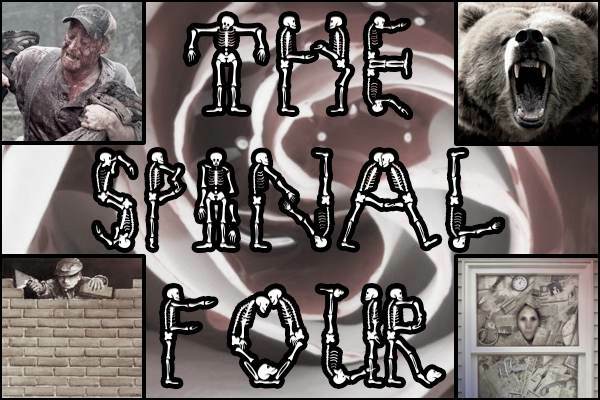 We are pleased to introduce The Spinal Four (TM) who will battle next week for the right to enter Abyssageddon (TM) in the ultimate showdown that’s almost as exciting as tiddlywinks, The Gruesome Twosome. Who will live to kill another day? Wood Chipper – Road to Glory: Eliminated Quicksand, Boa Constrictor, and Killer Bees. Bear Attack – Road to Glory: Eliminated Spider Bite, Airplane Crash, and Ice Pick to Head. Immurement – Road to Glory: Eliminated Choking, Hit by Golf Ball, and Electrocution. Crushed (Hoarding) – Road to Glory: Eliminated Disneyland Ride, Human Dartboard, and Food Poisoning. 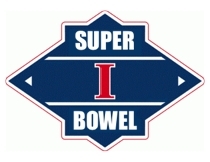 In the Execution Conference the match-up will be Wood Chipper vs. Immurement. In the Slaughter Conference the match-up will be Bear Attack vs. Crushed (Hoarding). No voting today. We have to take a week to build up to something this big. Be here next week and ready to do your part. This time it’s personal. A swipe of the paw and another week has come and gone, this time to disappear into a gaping maw of a fierce beast. Spoiler alert: It wasn’t Rush Limbaugh or Bill O’Reilly, either.